Here's the must have Unicorn Poo with glitter slime. Squash It, Roll It, Stretch It and Shape It. This must have magical Unicorn Poo is sure to be a poop-tastic gift for amazing magical fun. 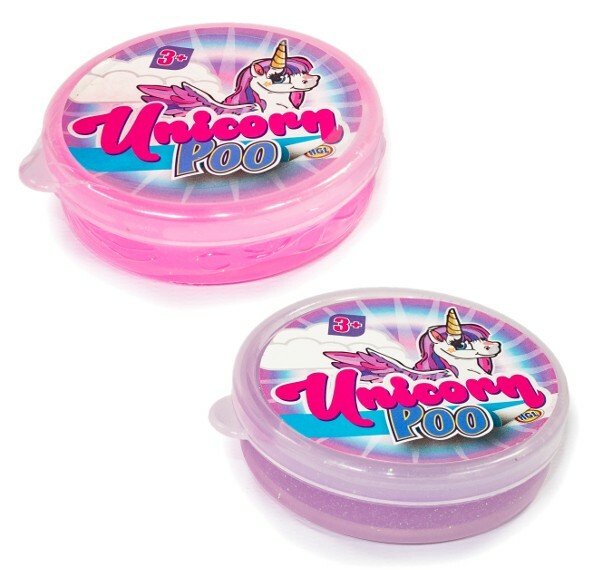 This sparkly pot of Unicorn Poo is perfect for playing pranks, relieving stress and to entertain yourself. It is a tub filled with endless fun. Colours may vary from image and are sent at random.